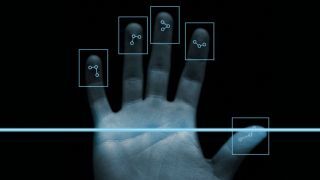 Australia’s Department of Immigration and Border Protection has announced an overhaul to its identity verification systems for international airports, which is intended to almost entirely replace physical passports with biometric recognition. Due to start in 2017 and be fully implemented by 2020 in what the department is calling a ‘world-first’, the system will involve a combination of iris, face and fingerprint scanning, as well as a series of electronic stations rather than manned desks, in order to automatically handle 90% of international travellers. This tech will replace the existing SmartGates, which have been in place for less than a decade. This component of the so-called 'Seamless Traveller' initiative, which was first announced in 2015, will make use of our “ability to harness the power of big data”, according to Fairfax Media’s interview with Dr John Coyne, head of border security at the Australian Strategic Policy Institute. Coyne moved to assure the public that “all of this is about risk,” about quickly and efficiently being able to identify likely threats, via a method known as “selective permeability”. Loud words, but where’s the action? Although the Department has laid out its intentions, it's still on the hunt for the actual technology to achieve them, with a tender out asking for “incoming passenger card replacement”, “automated border control”, and “exit marshall point replacement”. The project has been budgeted for nearly $100 million over five years, but it is currently unclear how much of this will go towards the technology implementation itself. The future tech isn’t as distant as it seems either, with an expected pilot program to roll out in Canberra airport this July. There will no doubt be some discussion around privacy concerns for such an invasive method of identification, although if it means a hyper-convenient airport experience, it may well be worth it. Maybe they'll use the new iPhone 8 for face recognition?